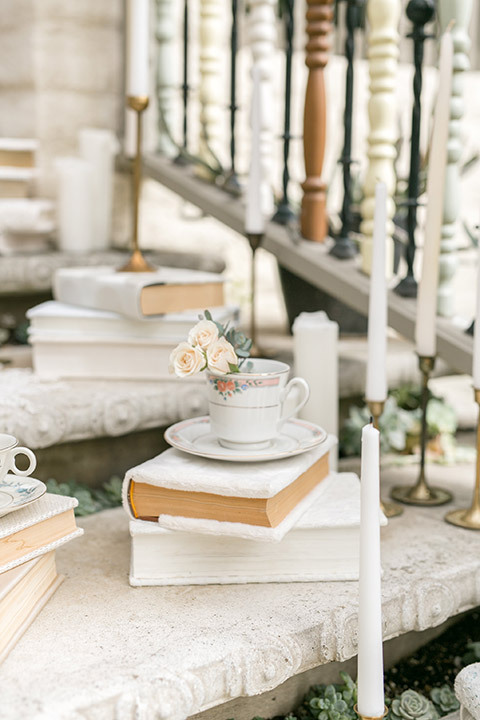 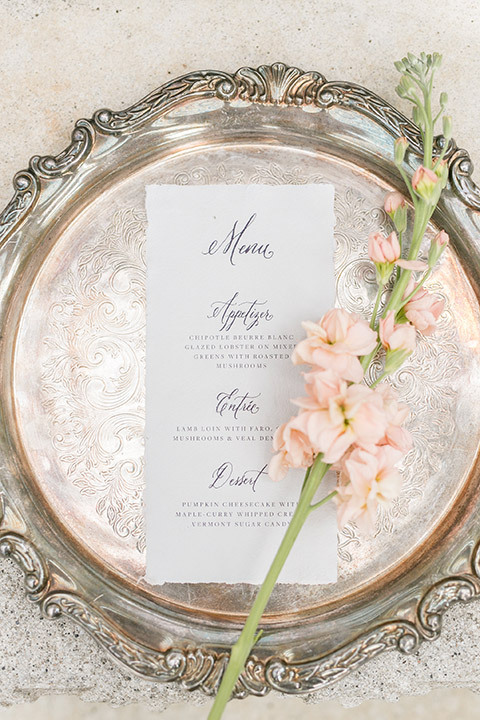 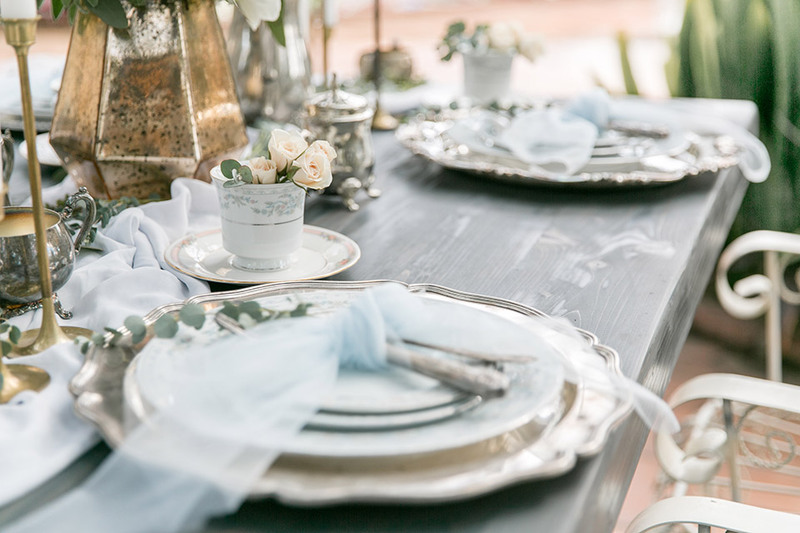 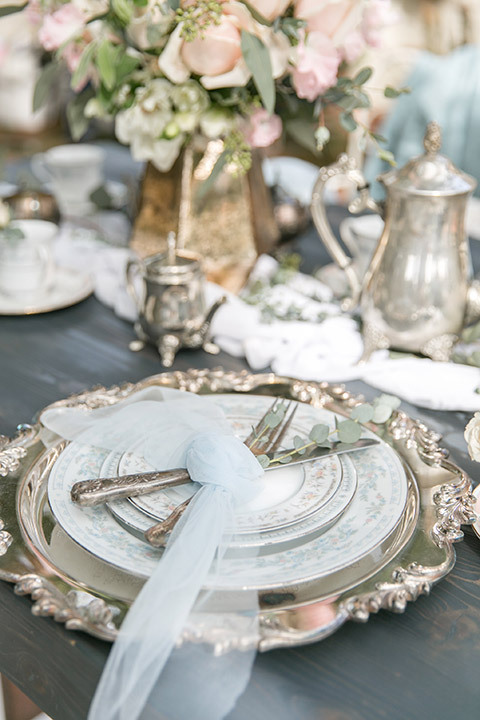 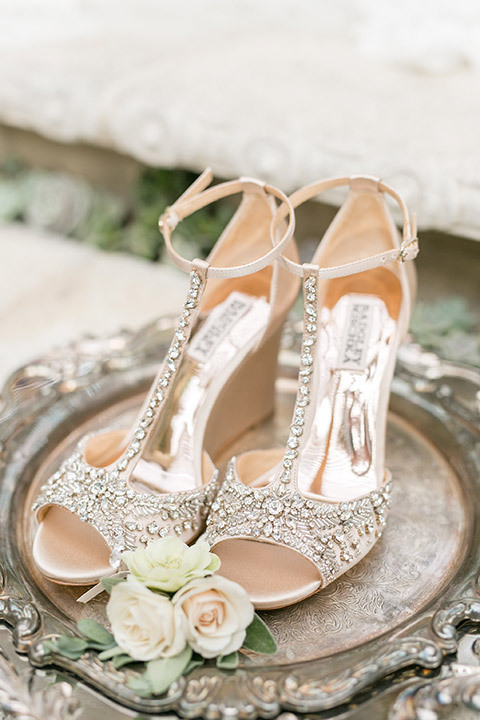 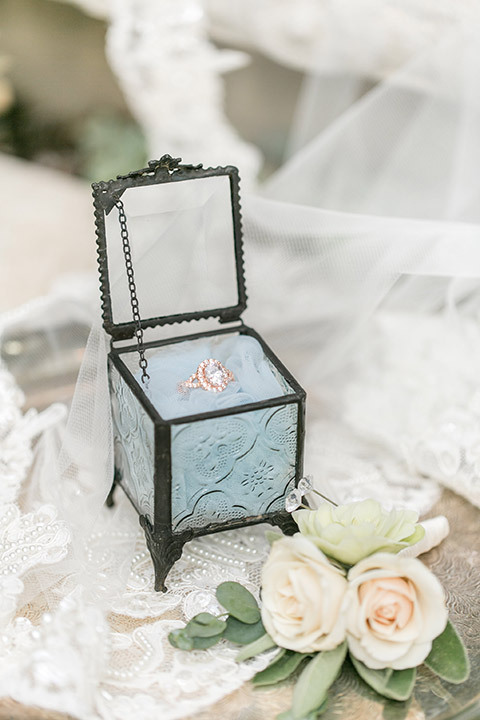 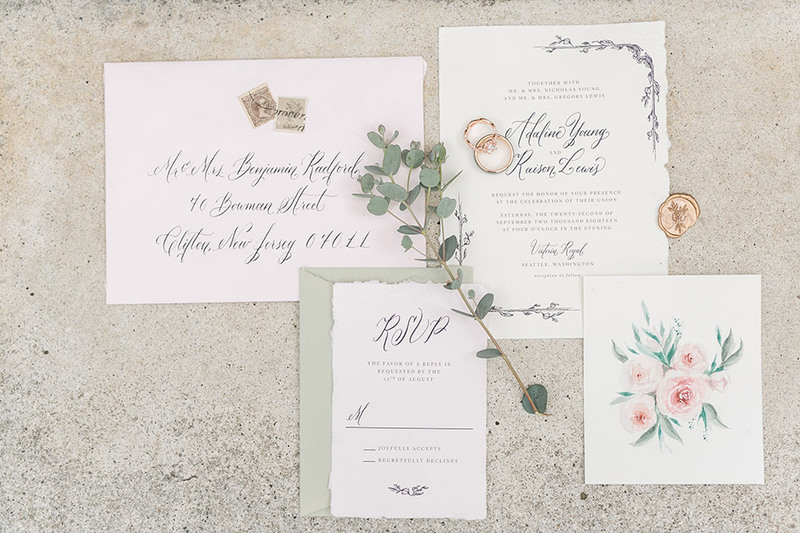 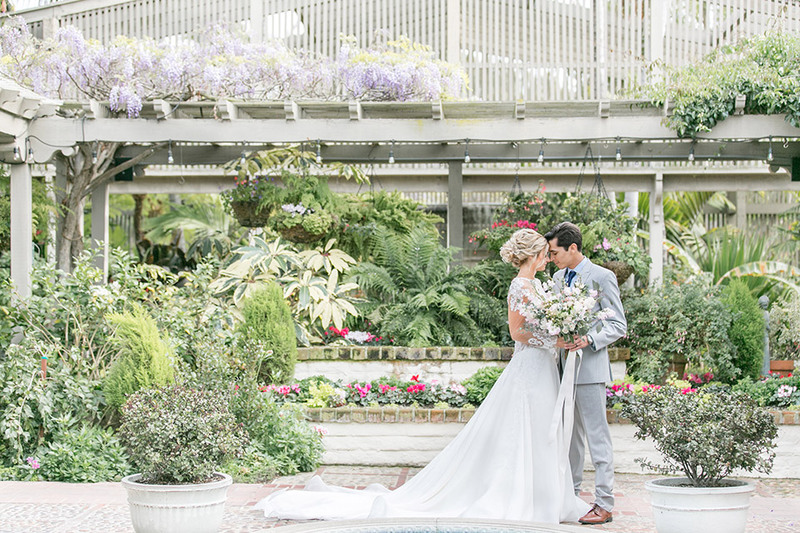 A muted color scheme is a great way to create a timeless wedding, but how do you make it modern? 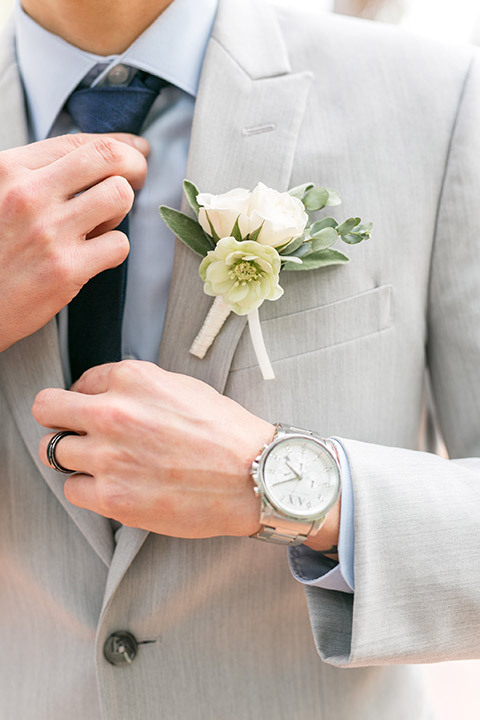 One way to design a modern and romantic wedding is by making the groom’s apparel more interesting. 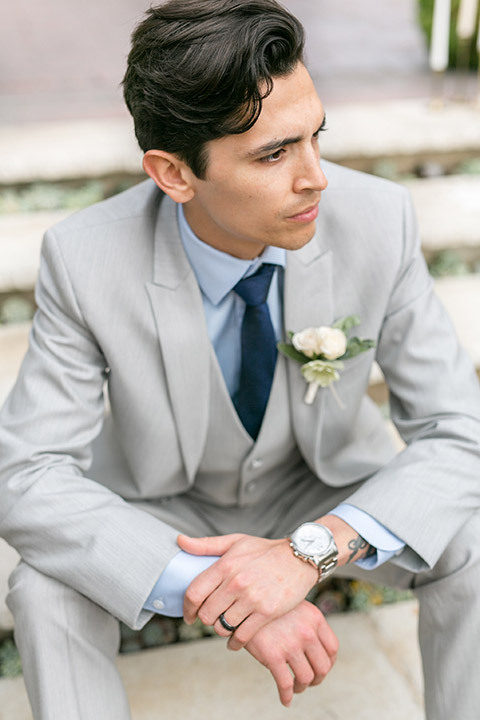 We are gushing over this groom look: pairing the light grey suit with the soft blue shirt, it brings out the subtle light blue touches of the overall wedding décor. 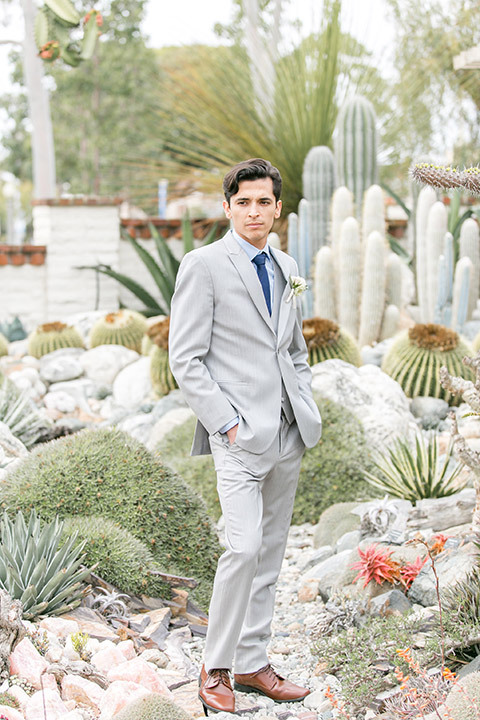 We also love how the groom took it a step further and paired the light blue shirt with a dark navy matte tie, playing with textures and tones is a great way to further modernize your look. 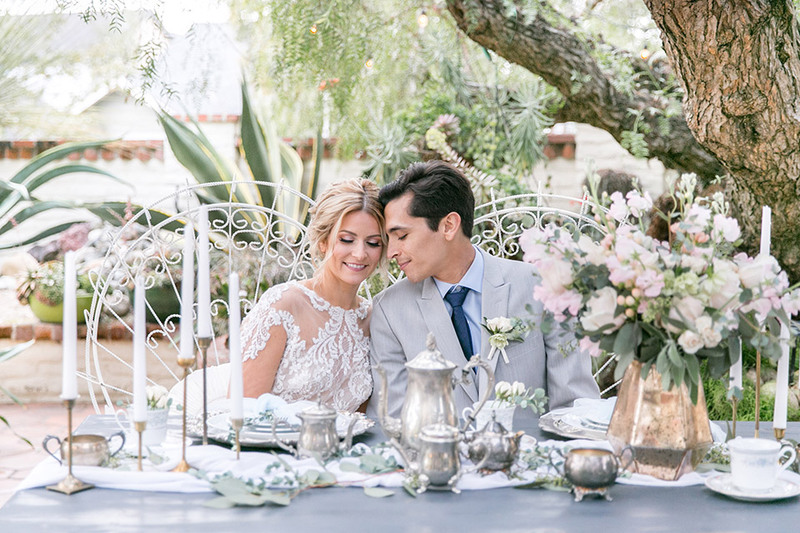 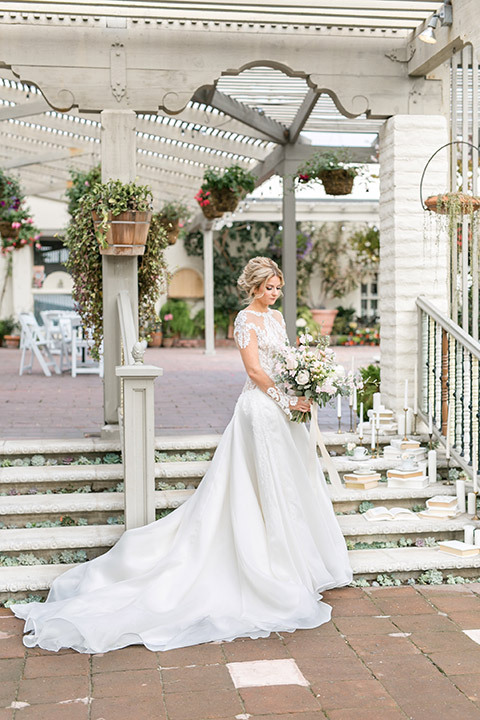 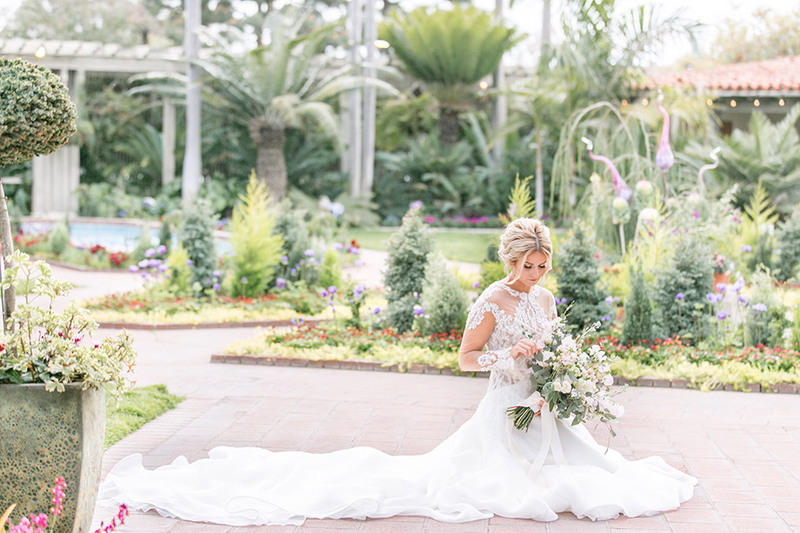 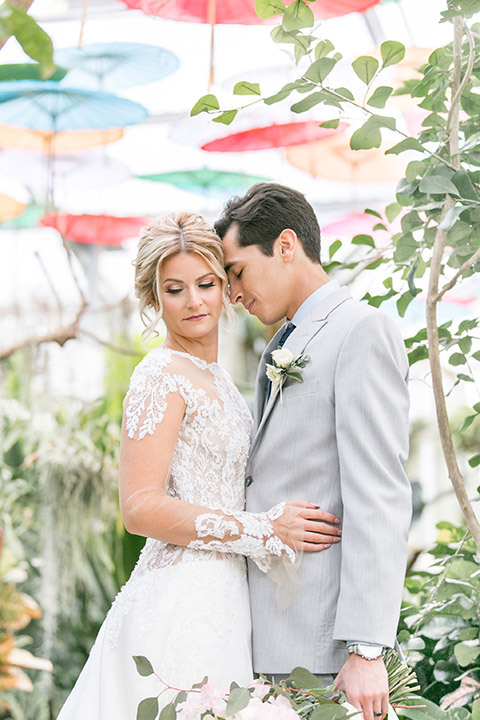 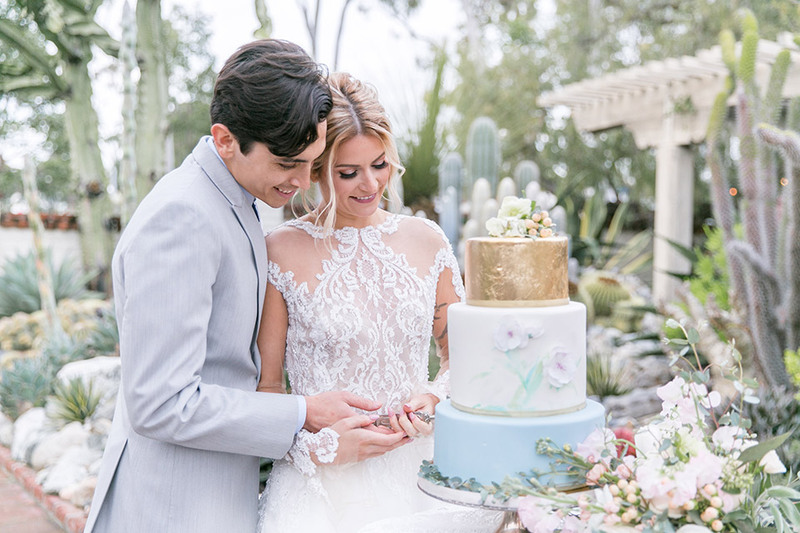 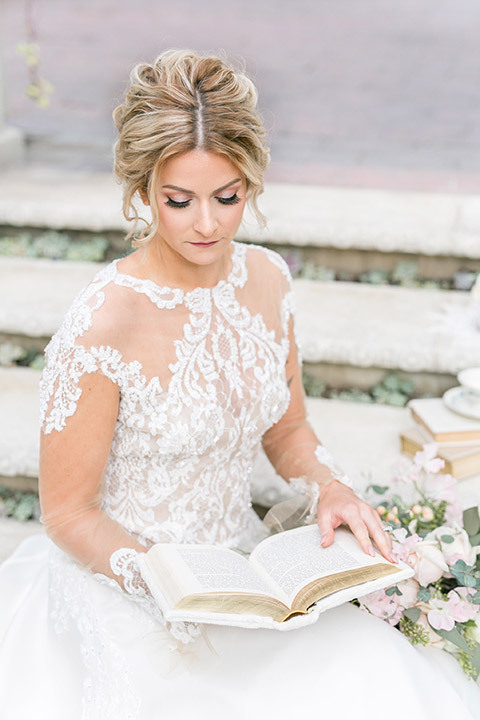 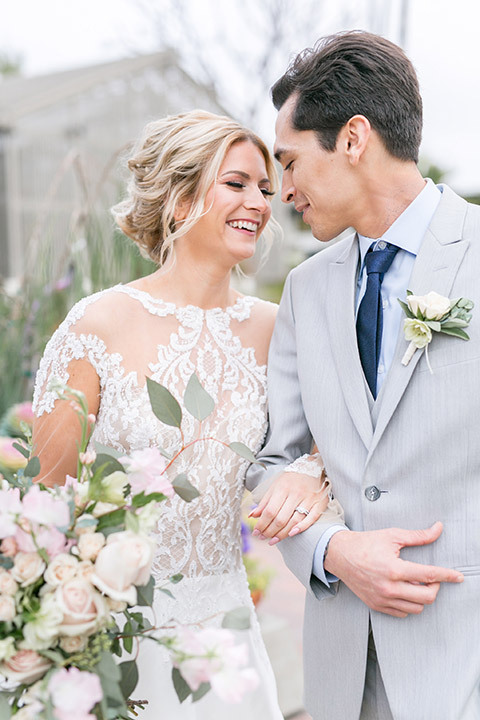 The bride went with the delicate garden theme by wearing a flowing gown with an illusion neckline trimmed in lace, with soft hair and makeup. 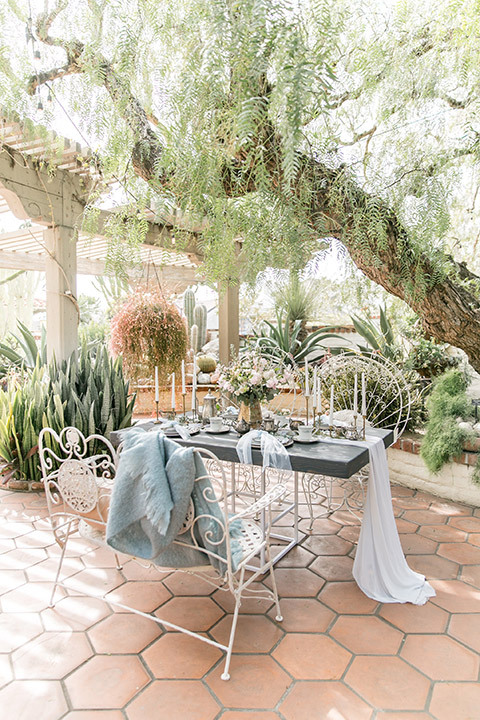 The decor has plenty of vintage accents to contrast with some of the modern elements in the venue. 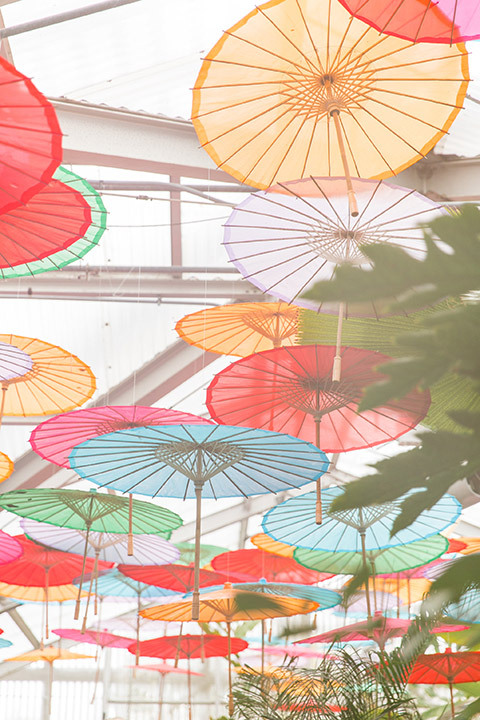 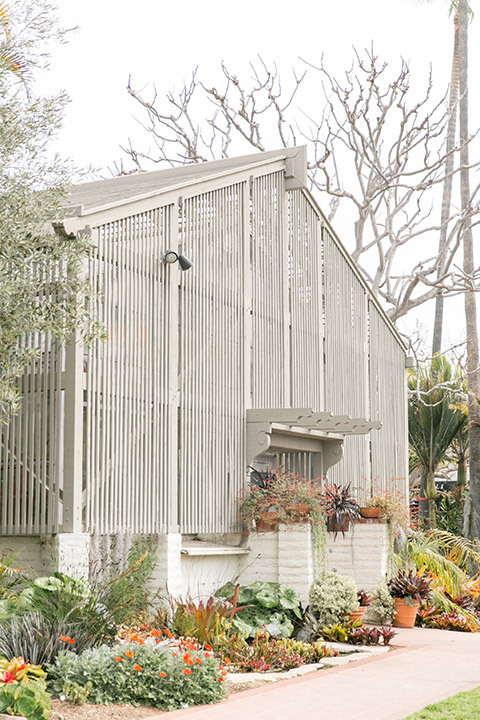 We also love the ingenuity of the parasol umbrellas hanging for an unexpected and visually surprising walkway space!